Update 2 – Look Ma, No car! Next, the health insurance issue keeps coming up. The system in the US is confusing at best (I’m lucky to be married to someone who used to work in a doctor’s office). Many, therefore, take a reactive approach and pick whatever insurance policy is offered to them instead of searching out what is most cost effective for them. They in turn advice their friends and so on. Consequently many believe that the only way to affordable health insurance is through either tax-subsidized corporations (which until today was true for those with serious preexisting conditions) or extremely expensive plans (even for healthy persons) at over $1000 per month. This belief even leads to structural unemployment in the sense that people are afraid to engage in entrepreneurial activities because they don’t know how to get affordable health insurance on the free market. It also keeps people in jobs they’d rather not be in just to collect “bennies”. This, in turn, keeps other people unemployed. I’ve already detailed how to go about it several times before (see links in Frequently Asked Questions). It’s very easy so I just repeated the exercise. For a 36 year old non-smoking male in Chicago (that is me), the cost is $85/month. Repeating the exercise for a 62 year old non-smoking male in Chicago (future me), it’s possible to get a plan with 0% co-insurance and a $7500 deductible for $341/month or $4092/year. This is quite a bit less than the rather frightening $15000/year number that people usually throw around. I highly recommend spending some time understanding how things like coinsurance, maximum deductibles, copay, and premiums work. I often (and still) get asked for investment advice. The problem with investing, like with exercising, that individual skills and desires vary widely from person to person. It is therefore very hard to say anything at all about investing to a general audience. For example, while everybody here is onboard with the simple living, DIY, survival, permaculture, bohemian, capitalist mixture generally espoused here, people span the whole spectrum when it comes to investing. From couch potato-equivalent to Usain Bolt. Consequentially, whenever I’ve said something on this blog about investing, which I didn’t do very often, there was always someone who disagreed, some who were confused, and a few who acted as if their personal religion was just insulted. There’s simply no one size fits all when it comes to investing. If you have questions about investing, I suggest reading the relevant books, blogs, or forums for the particular kind of investing that interests you. If you want to hear what people who are deeply concerned about making their money last for 50+ years think about it, it’s better to answer questions on an individual basis in the forums. Also, in the forum, it’s much more likely to get an answer from someone on the same page/skill/temperament. 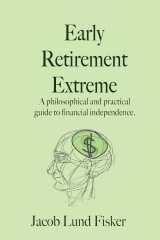 As I pointed out in the ERE book, there’s no particular condition on your investment style other than the requirement of a 3% real return (or less if you’re willing to save substantially more, for example, I only require 2.1% on my savings) — something that has been possible to achieve with a fairly conservative allocation for thousands of years throughout human history (see A History of Interest Rates by Sidney Homer). How you structure that investment is up to you. Yeah, so we finally got rid of the car. I figured that would be sufficiently significant to warrant an update. Living in Chicago there’s simply very little reason to own a car (it’s mostly just a hassle to park the damn thing if you go anywhere anyway) and thus it made no sense to keep it. Aside from saving the insurance money, the health benefits down the line from more walking will probably be worth a lot more in the long run. We sold it privately through craigslist which is actually pretty easy. The ad ran for two weeks. We had five interested people and the first one who showed up bought it. In terms of home production, I’ve started making wines. Consumers might only be familiar with a couple of different wines: red and white because that’s all that’s available for buying. However, it’s possible to ferment practically anything with sugar in it. I’ve made apple, potato, chai (yes, you read that right), and orange wine. I also have some pyment (mead with grapes) bubbling. It’s amazingly easy (easier than beer). Only soda is easier. Oh yeah, we also make that. It’s possible to make one gallon of wine for about $4 (less than a buck a bottle) adjusted to whatever level of dryness/sweetness, strength, body, etc. one desires much like it’s possible to bake your own bread to whatever consistency you prefer (lots of interesting experimenting here). In fact I think this household is turning into a Borsodi style household. DW has figured out how to sew dress shirts (MIL is impressed). I have built a book shelf ($8 worth of pine joined with 24 hidden tenons) and currently I’m making bird houses (beveled angles with frame and panel construction) for presents (using license plates—guess where they came from—for the roof). I’ll see if I can get some pictures of my contraptions on the ERE facebook page. Ultimately we might get self-sufficient to a level where all we pay is RE taxes(*) and health insurance. With a proper setup it is almost always easier and faster to either be able to quickly build something on the spot (e.g. a window screen) for practically nothing instead of racing down to Home Depot and paying for it—alternatively spending time to build something that’s so good (e.g. bookshelf) that it doesn’t have to be replaced. (See Captain Vimes’ boots theory.) In that regard, it’s sad that we lost our container garden moving into an apartment (that gets no sun). It was so damn convenient picking up lettuce outside the front door. Now we have to walk for 20 minutes and PAY for it. Terrible indeed. (*) Given that housing is so cheap in Chicago, it’s seriously tempting to buy a house. If anyone local is willing to guide/mentor us in the home buying process, let us know. 35 users responded in " Update 2 – Look Ma, No car! " WIth your talk of brewing wine I may just have to try that. A few years ago I was brewing my own beer for awhile but stopped due to the fact I could buy really great microbrew from the local breweries. Now, I am starting to brew kombucha. I have always had an affinity for the stuff but I rarely let myself shell out the dollars for the consumer stuff. I am looking forward to my first batch. But wine, I love wine. Not sure I have ever tasted a homemade wine but my interest in now sufficiently piqued! Jacob, nice to hear from you again. Thanks for posting. Always enjoy reading your ideas. Good to see you’re doing well. Not sure where you are located, but there are lots of local places w/ cheap produce to replace what you lost w/out your containers (try Stanley’s, Cermak Produce or the like). Jewel + Dominicks are ridiculously expensive. I also recently found a Mexican wholesaler that sells beans, spices, + nuts for very cheap. I’d be interested in exchanging some wine for beer sometime in the future. I would love to see a post on this, especially if you can make women’s dress shirts. Or even a post on tailoring for yourself. Or several. @DW–I’m with Geek. You need your own journal on the forum. I sew, so I know that sewing a man’s dress shirt is_very_impressive. What kind of machine do you use? Your post makes me remind myself of the downside of the condo we used to live in (although we had a balcony to grow minimal stuff). With our small 55×25 backyard we can grow an amazing amount of veggies (in addition to roses, shrubs, pomagranates, strawberries, etc). I really would like to start brewing one day (about all I’ve done so far is collect a bunch of empty 25oz bottles :-). if you have question about buying houses, ask away and i will do my best to answer. i’m not a realtor though, just another home owner. I’m not sure what you mean by “guide/mentor,” but I live in Chicago and have been through the buying process a few times: once for a condo and the second time for the house I now live in. Contact me if you’d like and I’ll try to answer whatever questions you have. If you’re thinking of buying a house with a yard, I also have perennials to give away every spring and/or fall: red and yellow raspberries, herbs, and various ornamentals. If you’re living in an apartment, where are you doing your woodworking? Do you have a bedroom set aside as a shop, or an outdoor area? Just curious, as I am in what is probably a bigger space than you, but one of the main obstacles (excuses?) preventing me from taking the plunge into woodworking is the (perceived) space limitations of my house. I may have missed it, but did you ever sell the motorhome? @Mr Every Day Dollar – It’s easy to try. All that’s really required for the most basic recipe would be a 1 gallon plastic water container and a balloon for the airlock. Alternatively a better system is a 1 gallon wine jug with a real airlock (cost $1.60) which is what I use. Google “easy country wine” for how to. @Brad – We should have a homebrew tasting party. I’m in Ravenswood (cta brown line). @js – I use a [collapsible] workmate225 bench and hand tools so space, noise, are dust are not really an issue. I work right in the living room. I don’t use a hammer or a saw after 8pm to keep good relations to the neighbors. @stati, Linda – I’ll mail you separately. @bethers – Yeah, we sold it back in December before moving. Happy you’re posting an update. Excellent idea to start with your net worth vs expenses. I’ll be retiring very soon but haven’t had the time to prepare it so my first tasks will involve optimizing my expenses and investments. Jacob it is good to hear from you again. You are the reason i are heading toward fi and still taking cold showers. Hope to see more posts. I like to sew, but have found it actually ends up cheaper, and obviously saves time to buy something on discount or at a thrift shop, and just tailor it to your liking. Between the cost of the fabric, buttons, zippers, elastic, and special materials for women’s clothes, finding a $5 shirt or $10 dress, and altering to your liking & fit can make it into something that looks like it cost 10x as much and will last longer and look better than anything you could buy, and will probably end up cheaper than buying the materials individually. My grandfather makes wine, and it can turn out quite good when kept in the right conditions. It needs to be kept cool and out of sunlight, so store it in a basement or outside if you heat your house in winter. It can be almost free if you grow your grapes and have cheap or free water and find good deals on yeast and sugar. What is the status of the quant trading gig? @Urban homesteader – Ongoing. Still interesting. Not making money yet. It’s exciting to see how “Wall Street” actually works. Reality is quite different from all the populist and politically charged commentary. Trading is more like running an insurance company than anything else. Risk management and loss control is crucial. Can’t believe you dropped the car. I live in Houston and there is no way I could do that, mass transporation or a bike isn’t worth the value lost in time, but I am currently talking myself into a prius; i figure I would save 2/3 of my current car’s fuel costs. Didn’t find the site until a few months back after you stopped updating regularly, but love it. totally the right outlook, why i gave up years of my life to keep up with the jones, i dont know; but soon enough; i’ll be getting by on just whats needed and set up to work because i want to; not because i have to ! Congratulations on selling your car. I sold mine in 1997 and have been living car free ever since. I get 50 minutes of exercise each weekday just walking to and from work. Where in Chicago are you planning on buying? The suburbs, downtown, east side, etc? @Tony – Evanston, Logan Square, Albany Park, or Archer Heights/West Elsdon. @Jacob, are you really buying in Chicago and giving up on homesteading? @jennypenny – If we buy here, it probably won’t be the last time we buy. In particular, 80% self-sufficiency is a lot easier than 100%. Also, I’m more of an urban homesteader than a rural one. All the places we’ve looked at anywhere (Oregon, New Hampshire) have been in the outskirts of the city-limits. For a look-ma-no-car update, I was hoping for a Chicago bike commuting report. How is the ride? And I hope you consider at least intermittent winter bike commutes (precip and your safety permitting). I still fondly recall my Boston winter bike commuting experiences, that thrill of tilting a winter headwind and still (safely and quietly) blowing past cozily gridlocked motor vehicularists. Good to see an update from you Jacob. I’ve followed your blog since around ’08 or ’09, with a few breaks in between. Found a lovely lady of my own, got married last summer, bought a house this summer. Been a bit lax spending wise, however. This is a good reminder of what’s possible. Good to hear from you, Jacob. Thanks for the update. I am a long-time kombucha brewer, but now you intrigued me with wine making… Maybe I’ll give it a shot ;). I’ll put my comment here simply because it’s your most recent post. As hippies from the 60s, my wife & I never did buy into the consumer culture. Despite training & experience in accounting & law, we decided to pursue our dream of being artists and I was fortunate enough to do that my whole life. I personally have never made more than $30,000 a year (and that for only 2 years) although my wife once had a “real job” that paid $40,00 in the 80s when that was real money. The best investment advice I ever heard was from the guy who wrote the tune “Hang On Sloopy”. Caught him one morning on the Today show and he said, when you make your mortgage payment, include next months’s principal. Now you’ve jumped a line on the amortization chart and screwed the bank out of a month’s interest. If you do this every month you pay your house off in half the time and save half the interest, which is typically about 3 times the cost of the house itself. In the early years of our mortgage this meant adding something like $19 a month to our monthly payment, saving something like $400 on next month’s interest. Okay, when you are at the other end of the payment schedule, it gets a little tougher, but by then inflation has made it possible. My real point in contributing here is that in 2007 we decided to move to Nicaragua. I did the math and realized, I could stay in the US, continue to work, and break even at the end of the year; or I could rent out my paid-for home there at a monthly rent exceeding the average per capita income here, live here, and break even at the end of the year. It seemed like a no-brainer. At that point our net worth (including the house) was about $700,000 despite the relatively average incomes mentioned above and living semi-frugally according to your standards. After the bubble burst year later, we were worth half as much. Who cares? Since we got here I happened to fall into the best job in the world which pays me another whopping grand a month, so we are still “saving for retirement”. We rent a US gringo’s “retirement home”, large and architect designed, butting up against a nationally protected nature reserve, for $450 a month. When I tell that to my Nica friends, they think I am either insane or must be the richest person in the world to pay such an outrageous rent. We were splitting the rent with our daughter but she moved out and left us stuck with the whole bill. Okay, the rent is pretty high, so we recently bought the empty lot three doors over for $17,000 (probably paid too much) and will build our own house. We have a quote on the labor to build the house (electric and plumbing included) of $8,000, since that is normally 20% of the building costs here, we figure we will end up spending $40,000 total. And this won’t be a 70 sq mtr. Nica house either, it will be a spacious house for both us and our daughter, her husband, and kids for the rest of their lives. The architect who is designing the house is charging us $1500 (all engineering plans included), but my lawyer tells me his friend would have done it for $450. I am going to sell the one thing I still own in the States, an antique car, to go solar for another $8000. I figure this is a pretty good investment of 10% of what we have left. When we lived in the US, we thought, like you, that we were living outside the consumer bubble. After almost 5 years here, we see how deluded we were. The bubble there is all-pervasive, it is the whole purpose of the entire culture and can’t be escaped. I could never have made a living selling artwork if I hadn’t been living in a totally consumer culture. Here, by contrast, people don’t “live to work”, they “work to live”. There are no career opportunities to speak of, hence no “careerism”. I loved your observation in the “Why so few succeed” post about the need for money being inversely related to your level of skills. My Nica son-in-law can literally do everything, he started working at the age of 9 cutting stones for building materials out of the side of a mountain. All of his income (100%) goes to his mother, always has. I personally can’t see how people can live on $1100 a year, even here, but all of the people I work with do it without complaint. Because like my son-in-law, they are capable of doing everything themselves. I won’t wax poetic about our lives here (I’ve bragged enough already), except to say that I never give people an honest assessment of how we live because if I did the whole country would be over-run by gringos and the whole thing would get ruined. But my job here has taken me all over the world (albeit the poorest and most remote places) so I can tell you it doesn’t have to be Nicaragua, throw a dart at the third world and you could duplicate what we have here most anywhere. The smartest, luckiest thing I ever did was leave the US, I wouldn’t go back if someone promised to cover all my expenses for the rest of my life. Of course, it’s a lot harder to do this if your kids and family are there. Also, I fully recognize that my good fortune is paid for by all the people here that work for $5 a day (and occasionally at that). Can’t help but feel guilty, but at least what I do spend goes into the economy here where it is truly needed, not there where it is not. great reply and advice on the mortgage count rupert ! i cant find the will to leave the US(too mnay family ties), but i’ve eaten up everything Jacob has put here and am setting myself up to live on 1/2 of what i make; already have a huge reserve in case the economic world crashes(looks like it may). in 2013, my job and the world will no longer own me ! Thanks for the update Jacob, it’s always nice to have news from you and continue to read what you write. I bought your book a while ago and found it deeply interesting. Also, I would like to find a way to “save” your Website and all its articles for future use if/when you decide it is time it disappear from the Internet. I was wondering if there was a way you could archive the whole Website or all its article in a .pdf file or something for easy reference just before you decide to pull the plug? I tried HTTPtrack and unfortunately, it is not very good. I want to continue reading your articles over and over as they exert a great influence on me. always nice to see another post from you. Chicago is my home town although it has been decades since we lived there. still, I was surpised to see you refer to RE prices as “cheap.” always seemed high to me. How much do you figure you’ll spend if/when you buy a house in the areas you named? We’re in NH and love it, but the urban vibe of Chicago is missing. Thanks for the referral link to my Sam Vimes Boots Theory post, the hits have been going through the roof! I’m finally debt free but have the kind of life that will keep me on the hamster wheel for pretty much the rest of my days. Maybe now I’m back to zero for the first time in 18 years (I’m only 35) maybe I should start looking at ways to reduce my requirement on the 9 to 5. Hind sight is 20-20 but I do so very much wish I hadn’t been the spendthrift I had been. Ah well, live and learn I s’pose. We also have a high deductible plan with an HSA and have done so for years. It is a group plan with the highest deductible we could find. Still, with a family of 4 (2 adults and 2 kids), all healthy, we are paying over $1,100 per month for the policy. We looked into ehealthinsurance, but the premiums were almost identical to what we are paying now. Since I own my own business, the group policy is tax deductible, which I believe would not be the case if we bought an individual policy. Hence, we are in a group policy. Even though the high deductible means we pay in essence for our medical care out of pocket, it is still worth having. Besides being protected from catastrophic expenses, you in-network providers give you the greatly reduced negotiated fees for medical appointments and procedures. I had an appendectomy years ago: the 20 minute endoscopic procedure ended up costing about $12,000. Our deductible back then was $2,500, so insurance paid for most of the procedure.